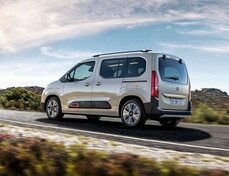 An emblematic component of the leisure activity vehicle, the new multifunction roof on New Citroën Berlingo carries over the best features of the two previous generations while providing even more light. The Modutop® comprises of a ceiling storage unit accessible via the rear seats or the boot and, now, a compartmentalised translucent arch, enhanced by ambient lighting running along the entire length and illuminating stored items. The Modutop® provides even more light with the large sun roof equipped with an electric sun blind. All the back-seat passengers in New Citroën Berlingo enjoy the same comfort regardless of their place thanks to three individual seats with the same width. The three seats also offer plenty of leg room, both for the 5- and 7-seater versions and the M and XL models. 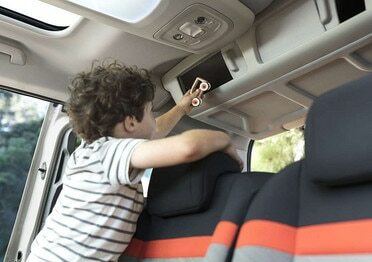 Each of the three rear seats folds down into the floor and is equipped with an Isofix i-Size attachment. The latest-generation connected 3D navigation system, Citroën Connect Nav, comes with services including TomTom Traffic with real-time traffic information and service station and car park localisation and prices. 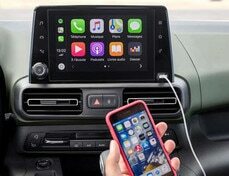 In addition, to do away with telephone wires, a special smartphone compartment features an all-new magnetic induction charging system. The main driving data and information are continuously projected in colour on a retractable surface in the driver’s direct line of sight, so that they never need to take their eyes off the road. Spacious, comfortable and customisable, New Citroën Berlingo stands out thanks to its many features: a record amount of free space, exceptional modularity with 3 retractable individual rear seats, multiple storage compartments with a new-generation Modutop® multifunctional roof and a new selection of colours and materials with different interior combinations.